Rooks County is named for John C Rooks, who was a private of company I, eleventh Kansas infantry, who died December 11, 1862, at Fayetteville, Arkansas. Description: The building faces east and is a three story stone structure. 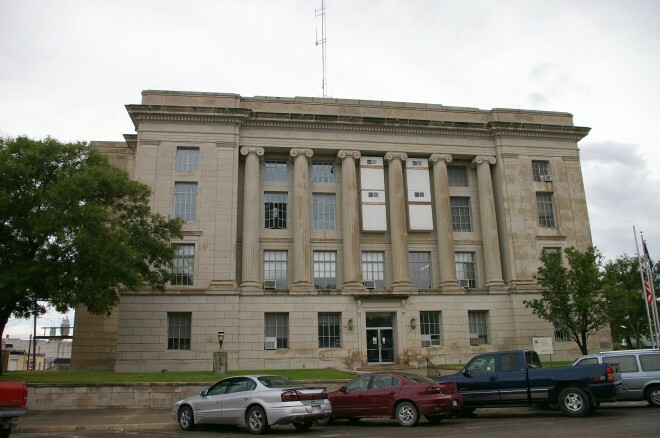 On each side of the building are four large columns rising from the second to third story. The entrance is on the east side. The base of the building is stone. The roof line is flat. The beautiful marble located throughout the courthouse was imported by Lautz Marble Company, and the decorating was done by William Andrews Company of Chicago. 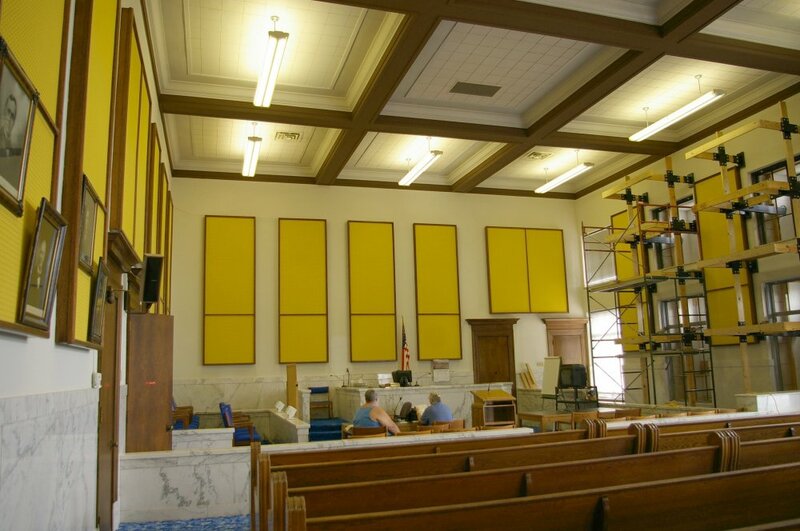 The courtroom features beautiful white polished marble. The corridor floors are original ceramic tile. The doors and casings are all solid original oak. There are several original vaults throughout the courthouse with ornate door casings. The building was remodeled in 1974. The architect was Van Doren, Hazard & Stallings. Renovations were done in 2007. 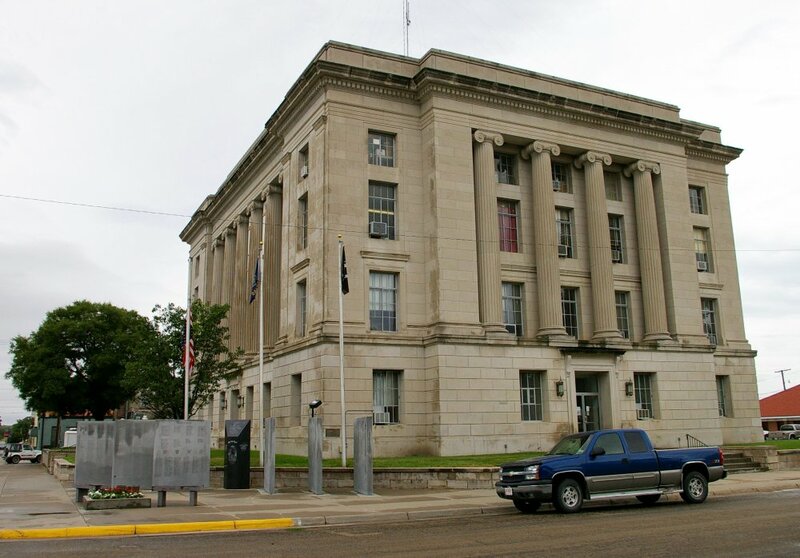 Note: The cost of construction of the courthouse was over $300,000. See: The architect, Frank C Squires of Topeka, designed courthouses in Riley County and Thomas County. 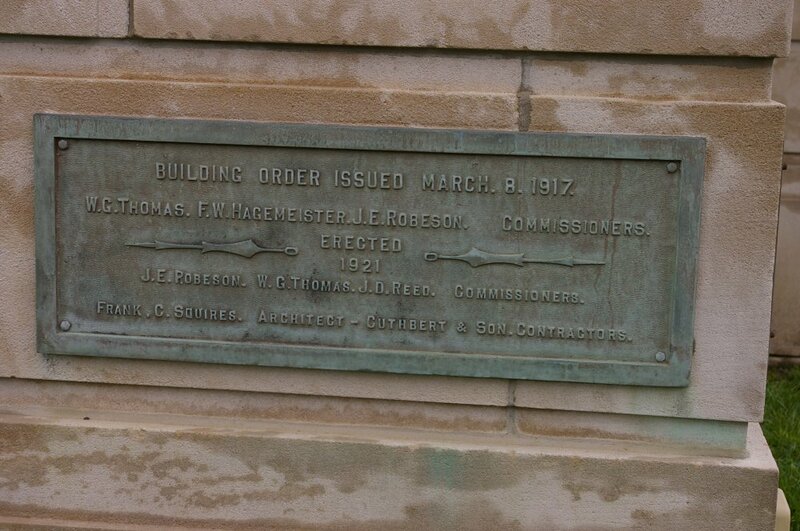 See: The contractor, Cuthbert & Sons, constructed courthouses in Jackson County, Ness County, Phillips County and Rice County.